Ohio Republican Mike DeWine has defeated Democrat Richard Cordray in the state’s gubernatorial race Tuesday, NBC has projected. With 91 percent of precincts reporting, the Republican had an over 200,000 vote lead over his Democratic opponent. DeWine, a former two-term United States senator and current Ohio attorney general, faced off against Cordray, a former Obama-era federal consumer watchdog and “Jeopardy!” champ, in a rematch of the state’s 2010 attorney general race. DeWine won by a slim margin. 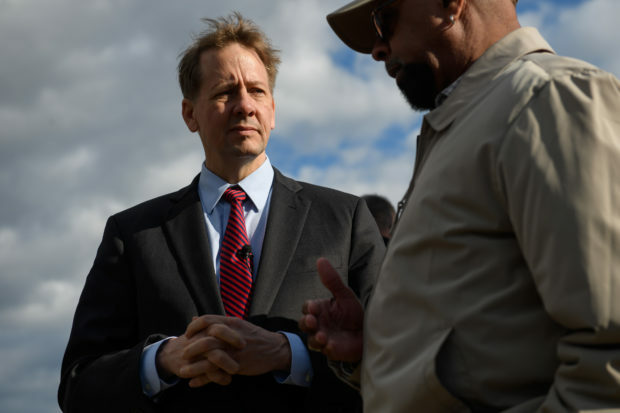 Cordray’s message to voters centered around “renewable energy, reducing gun violence, criminal justice, health care, workers’ rights and more,” according to Cincinnati.com, while DeWine focused on the strong economy and the need to keep things rolling along. In a race Cincinnati.com called the “nerdiest in the country” — featuring both Cordray and DeWine — current Republican Gov. 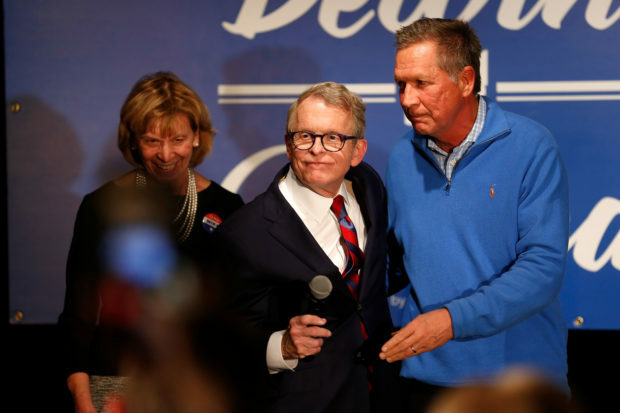 John Kasich endorsed DeWine, though the two only shared a stage once during the entire election season. Treading a thin line between appealing to both Trump and the anti-Trump Kasich’s supporters, DeWine often joked that he is one of the few things both Kasich and Trump can agree on.